2 DAY TOUR This tour is a great chance to take a look at the Southern corner of Baikal, to take a short walk along famous Circum Baikal railway and to see Tunka Valley – a land populated by the Buryats, indigenous people of Siberia. 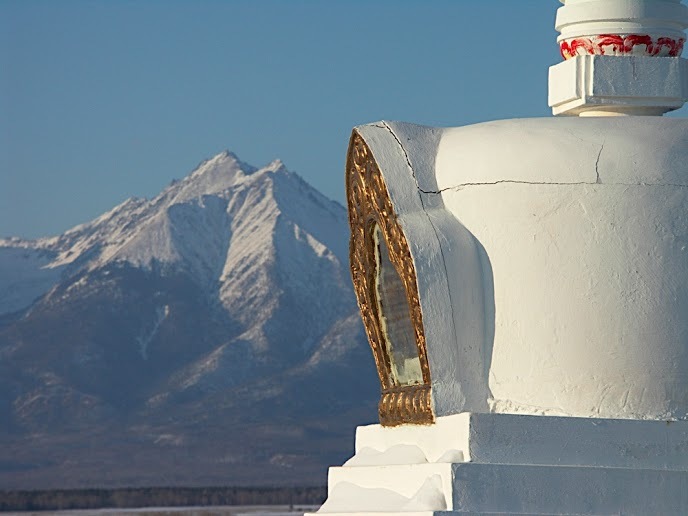 Visiting Buddhists stupas, taking a hot mineral shower and seeing magnificent Sayan Mountains makes this tour interesting for almost everyone. This tour is suggested as additional tour to Listvyanka or / and Olkhon island trips. FULL DESCRIPTION of the 2 day tour to Arshan (winter and all year round). You’ll be picked up from my hostel (or train station or any other place in Irkutsk) at 10 am. Vehicle: a 8 sit minibus or a car. Distance between Irkutsk and Arshan is 250 km (150 miles) one way. 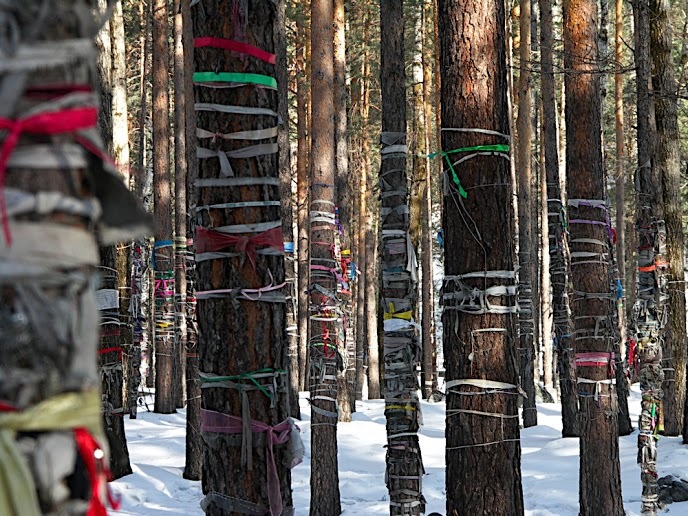 in 2 hours, you’ll start a Circum-Baikal Walk – without a guide, using the prominent path – down the valley through the forest. You will reach Old Angasolka village, located on lake Baikal. Then you turn right, and start walking along the Circum Baikal Railway. You will be seeing an Angasolka Bridge, and 3 tunnels, and, of course, a magnificent view of Baikal. You will reach the village of Kultuk in 3-4 hrs, depending how much time you spend on taking photos or exploring the tunnels. Total walking distance is around 12 km. You will need a lunch box and water. Then, we will be continuing our tour. After a short while, we’ll see the 200 km long Tunka Valley. The valley is 50 km wide, stretches along the Mongolian border. Northern edge of the valley is guarded by the magnificent – 3000 meters high – Sayan Mountains. We’ll reach Arshan by late afternoon. Arshan is a small resort town. The “Arshan” means a mineral water source. There are two arshans in Arshan – the testy cold one and less testier but probably more healthy warm source of free mineral water. Accommodation in Arshan: private guest house, twins, toilet is shared. We go for introduction walk around the town after check in. Breakfast (not included in to the tour price!). We continue exploring the village and its surroundings. First we visit small Buddhist Temple, which is nicely tucked among the cedar trees. Then we walk up to Kyngarga River (“Drum River” in Buryat) to its first waterfall. The waterfall is not big but looks impressive despite of the graffiti around it. On our way to the waterfall, we walk though the market where local and Mongolian products can be purchased. Then we return to the car and drive to another village (35km) to take the hot mineral bath (add 200 R). It is +45C degrees highly mineralised water. Private car or van transportation with the driver, 1 night accommodation, local guide-interpreter services.